US equity indexes closed exceptionally mixed, sp -1pt at 2626, with the Nasdaq comp' -1.3%. The two leaders - Trans/R2K, settled higher by 3.3% and 0.4% respectively. 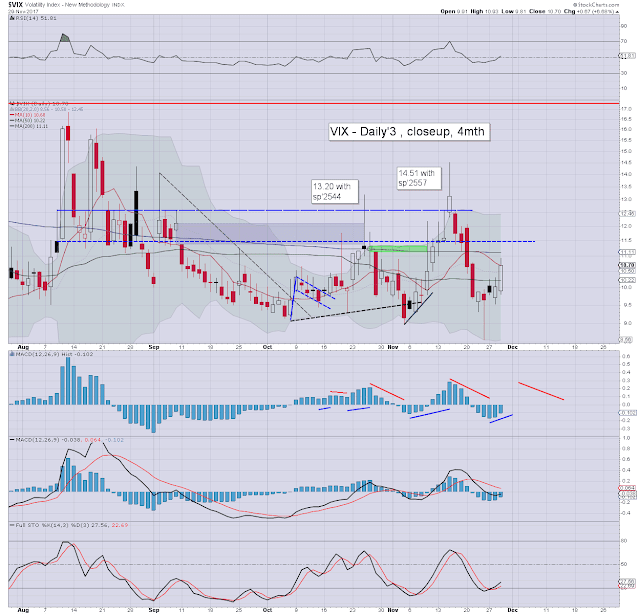 VIX settled +6.7% at 10.70. 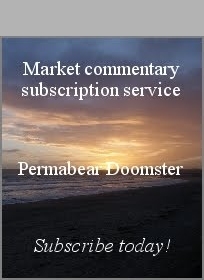 Near term outlook threatens a washout to sp'2572/64, before another surge that should take the market to 2650/700 by year end. 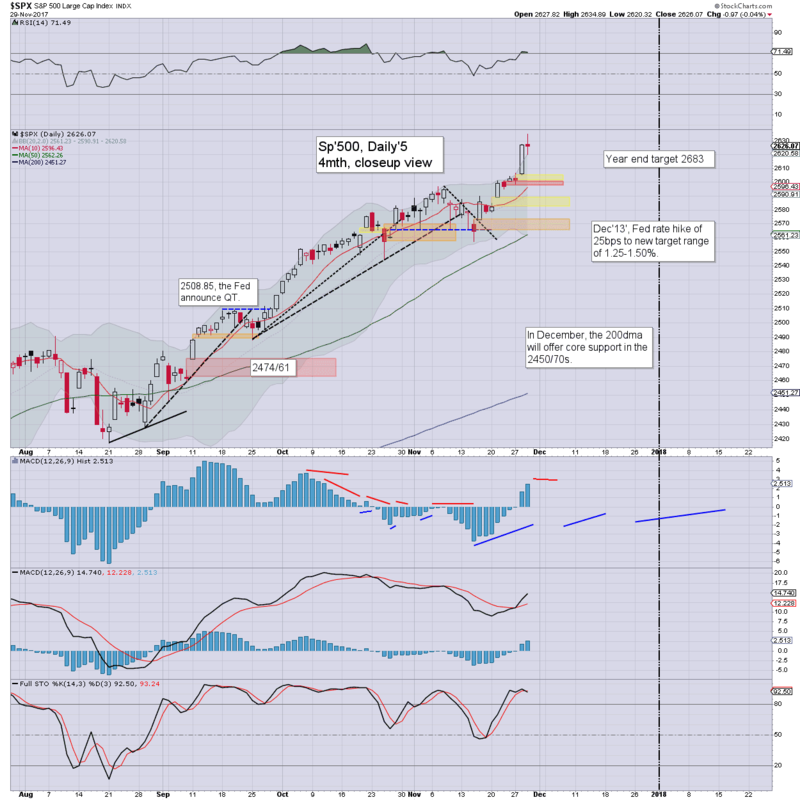 US equities opened a little choppy, but it was enough to generate new historic highs in the Dow and sp'500. However, there was discernible weakness within tech in early morning. 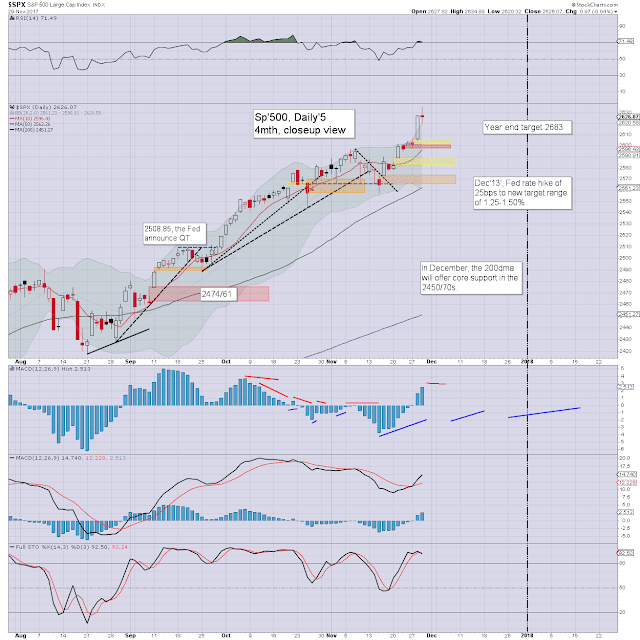 With key technical breaks, things spiralled lower in stocks such as MU, NVDA, and NFLX, and that pinned the main market back to some extent. There was contrasting strength in energy, retail, and financials. Some stocks saw key bullish breakouts (BAC, PSX), whilst others (HD) simply pushed to new historic highs. The NYSE comp', R2K, and Trans' broke new highs in the afternoon, making for another quintet of index highs. 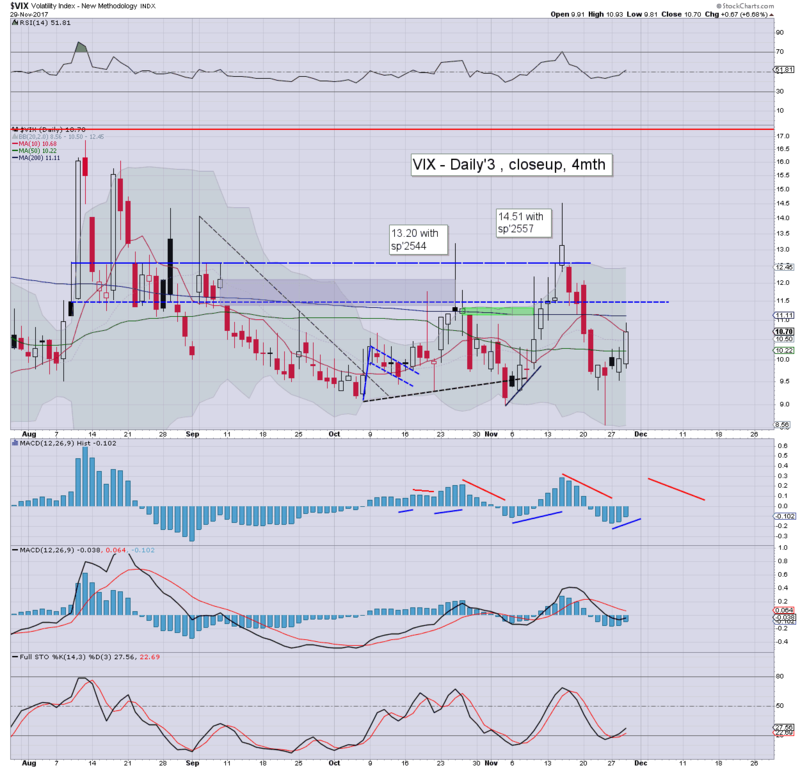 Volatility did see a kick upward, with the VIX settling higher for the fourth day of five. If sp'2570/60s, we could (in theory) see VIX in the mid/upper teens. More broadly though, the sp'2650/700 zone still looks viable into year end, as earnings and the econ-data continue to come in broadly fine.